£50 voucher giveaway with Paper Themes! 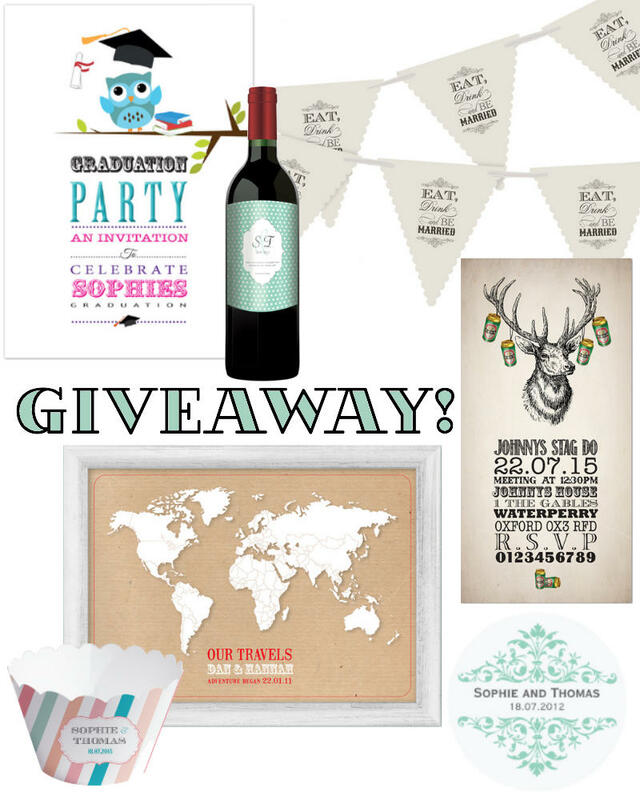 Graduation Party Invite, Personalised Wine Bottle Label, Paper Bunting, Stag Do Invite, Personalised Stickers, Around The World Poster, Personalised cup cake wrappers. As you may already be aware, I am currently planning my wedding, so I am thrilled to announce that I will be running a giveaway with Paper Themes! Paper Themes specialise in wedding invitations and wedding stationary, but they also also have a wide selection of party decorations and invites. Any of which you could spend the £50 voucher on if you are lucky enough to win! Above are some of my favourite picks from their shop. I recently wrote a review on their Wedding Invites, and also on one of their Wedding Planners, on my wedding blog Wrapped Up In Weddings, if you want a better idea of some of the goodies you could win. So, if you are planning a party or a wedding soon, this could really help cut your costs down. All you have to do to enter is like Paper Themes on Facebook. You can also get additional entries by following Paper Themes on Twitter, Tweeting about the giveaway, and liking my Facebook page. Please use the Rafflecopter widget below to enter. The competition will finish on 26th August, and the winner will be sent a voucher code for the value of £50. Good Luck! We are working on our 'save the dates' at the moment so this would be amazing to win!